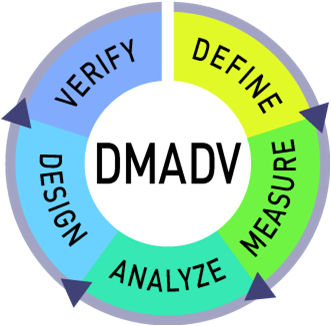 The acronym DMADV sounds pretty much similar to DMAIC. The similarity ends after the first three letters DMA. DFSS is the acronym for Design For Six Sigma. Unlike the DMAIC methodology, the phases or steps of DFSS are not universally recognized or defined — almost every company or training organization will define DFSS differently. Many times a company will implement DFSS to suit their business, industry and culture; other times they will implement the version of DFSS used by the consulting company assisting in the deployment. 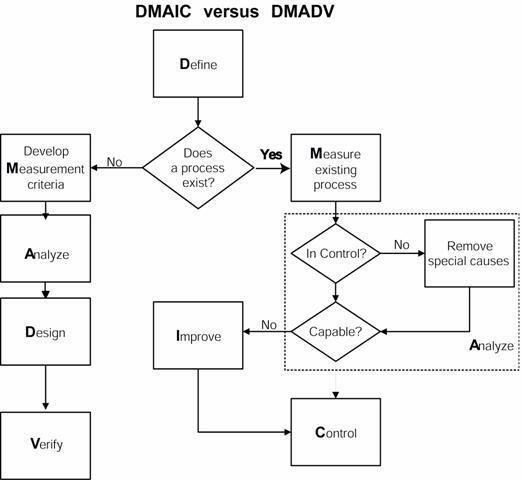 One popular Design for Six Sigma methodology is called DMADV, and retains the same number of letters, number of phases, and general feel as the DMAIC acronym.